France-Luce Benson is an award winning New York based playwright. She is currently working on DEUX FEMMES ON THE VERGE DE LA REVOLUTION (Dramatist Guild Fellowship), THE DEPORTATION CHRONICLES (Ensemble Studio Theatre w/ the ACLU), and was just awarded a new play commission from the Ensemble Studio Theatre for their 2017 season. Other plays include FATI’S LAST DANCE (currently in production at Loyola Marymount University in L.A.), BOAT PEOPLE (Princess Grace Award 2016 Runner Up), THE DEVIL’S SALT (Alfred P. Sloan New Play Commission), THE TALK, and RISEN FROM THE DOUGH (Winner of the Samuel French OOB Festival 2016). She has been published in several anthologies, including: The City Theatre Anthology 2015 (THE TALK AND RISEN FROM THE DOUGH), Bricolage Urban Scrawl 2005-2015 (NO PLACE, SOMEWHERE), 48 Hours…in Harlem (RED BOTTOM), and Monologues for Men and Women of Color, Routledge Press (THE DEVIL’S SALT, THE TALK, and FATI’S LAST DANCE). She has also contributed to The Dramatists Magazine (Season in Review 2016), served as a panelist and workshop leader at Citywrights Conference 2015, and a Lead Teaching Artist for Girl Be Heard. France-Luce has also written for film and new media. 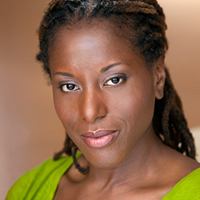 Her feature length screenplay HEALING ROOTS was honored with an award by the Alfred P. Sloan Foundation, and she was commissioned to write CAROLINE’S WEDDING, a feature length adaptation of Edwidge Danticat’s acclaimed short story. She was awarded a diversity scholarship from the Upright Citizens Brigade, where she developed and produced BLACK BABY AGENCY for the web. Her play for young audiences, AFTERSHOCK, commissioned by City Theatre Miami, toured Miami Dade Public Schools as part of City Theatre’s Short Cuts program in 2015-2016, and will tour again throughout the 2016-2017 school year. France-Luce is a 2015-2016 Dramatist Guild Fellow, a winner of the Samuel French OOB Festival, winner of NPNN Award for Best New Short Play, Recipient of Djerassi Resident Artist Fellowship, Eugene O’Neil National Playwrights Conference Observer Fellow, Princess Grace Award Runner Up, and Ensemble Studio Theatre Lifetime Member. Her plays have been produced by the Ensemble Studio Theatre, Crossroads Theatre, The Fire This Time Festival, The Billy Holiday Theatre, and Loyola Marymount University. She is an Associate Professor at St. Johns University, and a proud member of the Dramatist Guild, and New York Women in Film and Television.